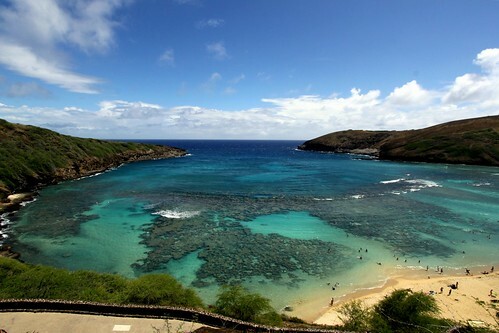 Hanauma Bay is a unique place because it occupies the flooded crater of an ancient volcano. 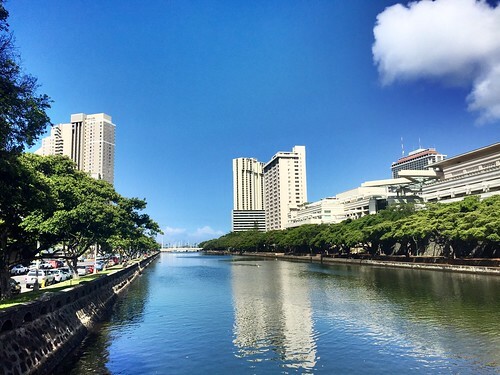 The bay is located on the south-east coast of the island, just 30 minutes away from Waikiki Beach, and it’s easily reachable by 4 wheel drive rental in Honolulu. In 2004, the beach was recognized as the best resort in America and is still considered to be the most popular destination for divers and those who are not indifferent to water sports. The purity of the local waters is amazing. There are not so many places on the planet that can boast of crystal clear ocean waters of a greenish-blue hue, which allow to consider the diversity of the underwater world. Therefore, every year millions of tourists and regular visitors go to these wonderful places, among which you can often meet the celebrities of show business and cinema. The beach features a comfortable climate, which creates excellent conditions both for extreme rest and just swimming. Therefore, the beach will be one of the most interesting offers for those who are looking for a new place for a family vacation, which will give vivid impressions and charge with vital energy and positive mood for the whole year. Fish and turtle feeding is prohibited in the bay, you can only swim with them and take pictures. There are no eateries on the beach, so you should stock up on food and drink in advance. We advise you to visit the bay until 09.30am, as the daytime parking is crowded and there will be no place to leave your car. Parking charge is $1. Due to its proximity to the resort area of ​​Honolulu, Diamond Head is one of the most-visited places on Oahu. 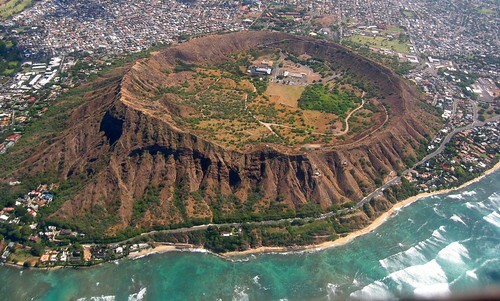 This natural landmark is famous for its steep hiking trails, stunningly beautiful views of Waikiki and the turquoise waters of the Pacific, as well as its rich military history – in 1909, a military fort was built inside the crater. At the top of Diamond Head there’s a viewing platform, but visitors will have to go along a steep 1-kilometer-long trail in order to reach it. Of course, it’s worth it, as from the top of the extinct volcano travelers can enjoy a stunning 360-degree panoramic view of the surrounding picturesque landscapes. The whole trip to Diamond Head takes not more than 2 hours. The best time to visit it is in the morning, when it’s not crowded and the temperature conditions are comfortable. Don’t forget to wear comfortable shoes, take a bottle of water, a hat and sunscreen. Moanalua Gardens is a beautiful park in Honolulu, which is visited by many people. This natural landmark is especially popular among Japanese tourists. The gardens are located 8 km northwest of the city center. Rare species of plants and trees grow on the territory of the park, and there’s a pond with carps, beautiful benches, and several historical structures. The major attraction of the park is a large tree, the crown of which has the shape of an umbrella. In fact, it’s known as the Hitachi tree. The world-famous Japanese electronics manufacturer Hitachi has been using this tree as a symbol of its corporation for almost 50 years. The park is also popular because every year, on the third weekend of July, a colorful dance festival ‘Prince Lot’ is held there. It aims to preserve and perpetuate the culture, language and traditions of Hawaiian dance called ‘hula’. 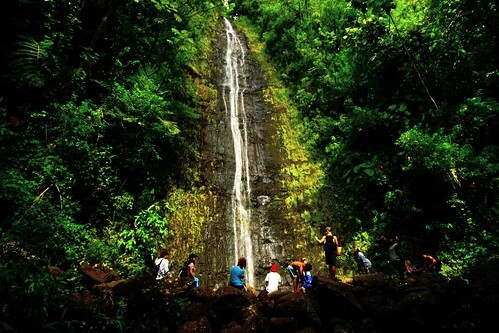 Manoa Falls is a popular tourist destination on Oahu Island. The waterfall itself is not very impressive, but the trip to it is really interesting. So as to reach the waterfall, travelers must walk along a kilometer-long trail amidst lush vegetation and beautiful landscapes. For a hike to the waterfall, you should wear comfortable shoes, as in some areas you will have to walk over the rocks, as well as have sunscreen, mosquito repellent and water. The trail leading to the waterfall is signposted, so there won’t be any problems to find it for travelers. Walk to the waterfall and back will take approximately 2 hours. The waterfall is situated in the Manoa Valley, and you can get there by car or by bus running from Ala Moana shopping center. At the end of Manoa Road a path begins that leads to a waterfall. 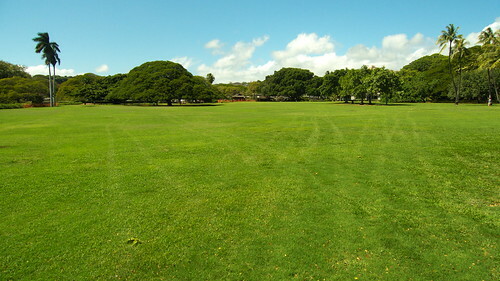 Located in eastern Waikiki, Kapiolani Park is the oldest and largest public park in Hawaii. The park got its name in honor of Queen Kapiolani, the beloved wife of the Hawaiian monarch David Kalakaua. Currently, this landmark attracts locals and tourists for many reasons. Here’s the Honolulu Zoo, which with great pleasure is visited by parents with children and features picnic areas. Also, in a large area of ​​the park, which covers 170 acres, there are many sports facilities where you can do various sports. The park includes tennis courts, jogging tracks, football, baseball, rugby and lacrosse fields, basketball opportunities and archery grounds. Honolulu Cricket Club is also located there – this is the only cricket club in Hawaii. The park has a spacious outdoor stage, where concerts of traditional Hawaiian songs as well as rock and pop music shows are held.